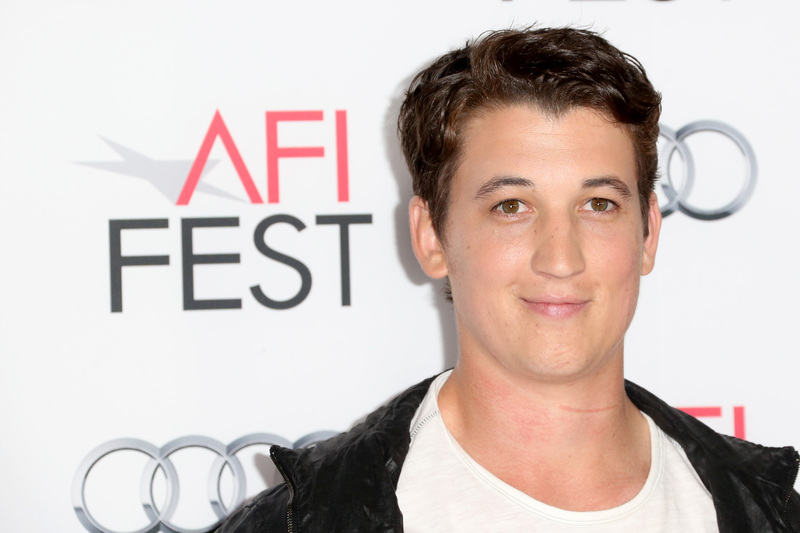 The 2014 Sundance Film Festival started off with a big and warm reception for the charged drama Whiplash starring up-and-comer Miles Teller. The film tells the story of an aspiring drummer (Teller) who is abused and berated by a professor at his college. The film was shot in just 19 days and then edited in nine weeks, creating a gritty and raw final product. It also may be one of the shortest filming periods for a major feature in the history of Sundance. Teller is already receiving high accolades for his portrayal of the ambitious and gifted musician. It looks like Whiplash just may already the Sundance darling, and the festival has only just begun. And though 2014 is just three weeks in, we're already predicting big things for the young star. He landed on everyone's radar in 2013 with the indie charmer The Spectcular Now — which won last year's Grand Jury Prize at Sundance and was nominated for various Independent Spirit Awards. Though it was snubbed at both the Golden Globes and the Academy Awards, the film resonated deeply with movie-goers. The Pennsylvania native will be featured in five films released this year, so ya know, we will be seeing plenty more of him come future awards shows. Let's take a look at Teller's 2014 projects that range from Sundance gems to bro-mantic comedies to big-budget YA thrillers. The buzz is seriously buzzing. We've already squealed a-plenty about this one. Teller co-stars in this refreshing comedy alongside Zac Efron and fellow one-to-watch Michael B. Jordan. A comedy that is perhaps a love letter to this very sentiment by one Charlie Day. It's about the struggles of finding employment after college. OOOOOF. Oh and did we mention the film also stars Anna Kendrick, Alison Brie and Bryan Cranston? Okay Teller, color us jealous. A romantic comedy that co-stars Analeigh Tipton about a one-night stand that turns into a two-night stand due to a snow storm. Well, that'll keep you warm, ehhhhhhhh? Yep. This is going to be HUGE.